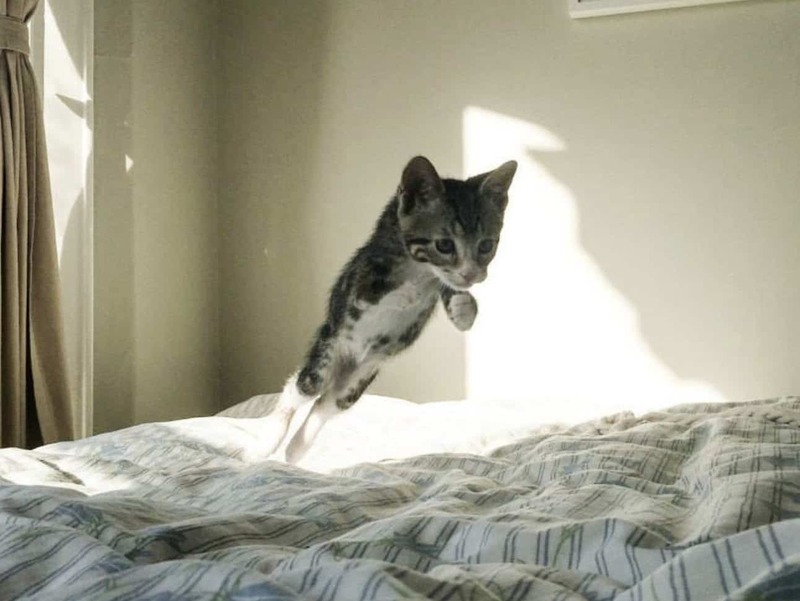 Home Inspired Meet the super adorable cat who hop like a kangaroo! 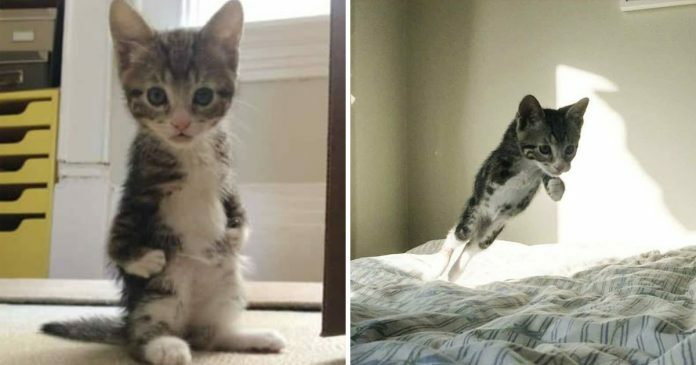 Kanga was only a small kitten when she was brought to a veterinary clinic to put her to ‘sleep’ since she has deformed front legs which makes her legs unable to grow normally. 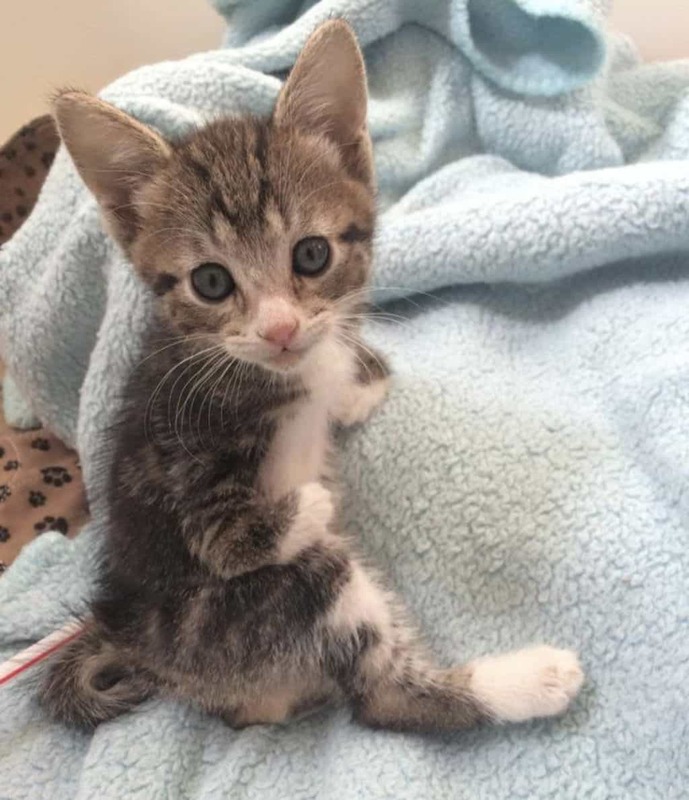 This deformity has caused her front legs to unable to hold her weight as they are too small so she walks or ‘hop’ on her rear legs. 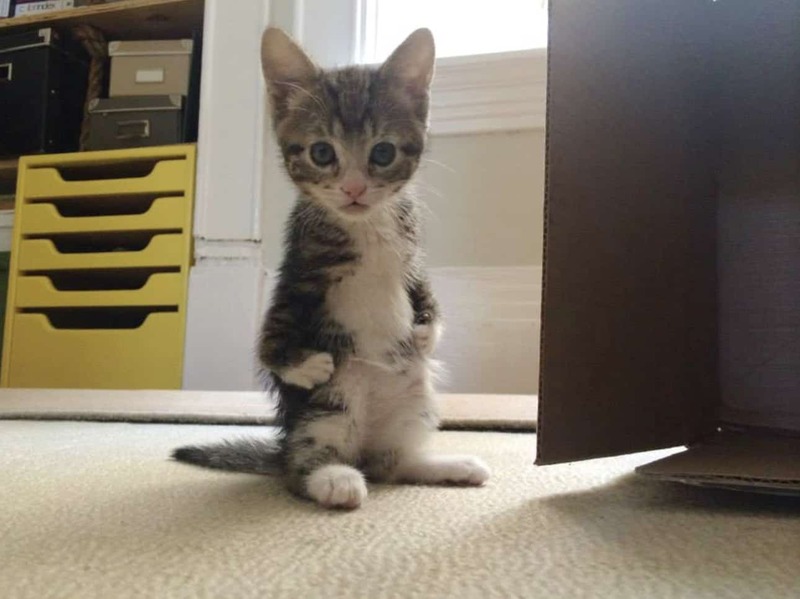 Just like a kangaroo! Fortunately, Kanga was saved from death by a woman called Cheryl. Cheryl knew that Kanga should not be put to sleep just because she has tiny legs. So, she got in touch with Saving Grace Rescue in San Francisco and begged them to save Kanga. 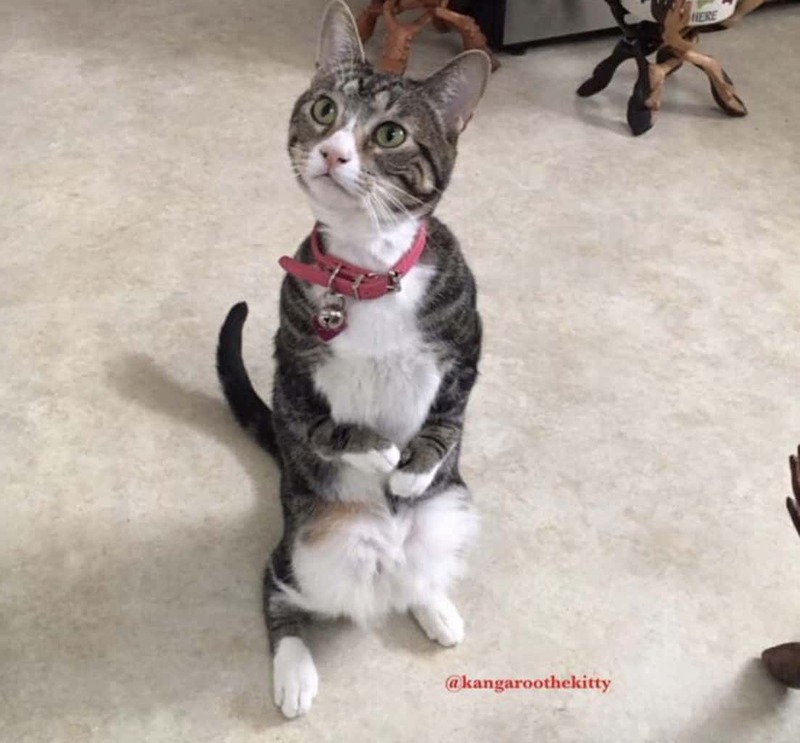 In no time, Saving Grace Rescue rescued Kanga and took her to their shelter in San Francisco where Kanga was trained to walk on her rear legs. Kanga adapted to her new environment quickly and she had no problem with walking. 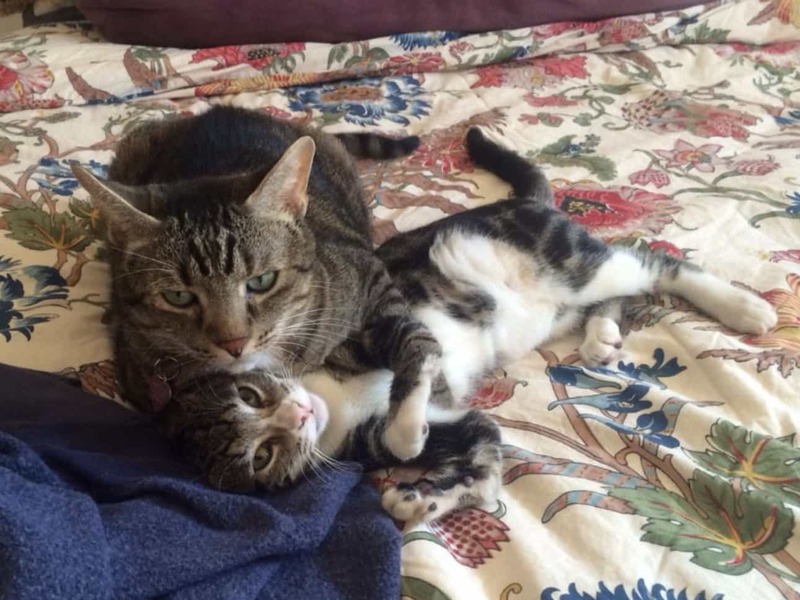 Soon after her rescue, Joyce and her family adopted Kanga as their cat. They instantly fell in love with Kanga after they saw her video. “We saw a video of her and fell in love. 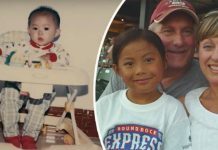 Because she was a petite girl, it took a few more weeks to reach 2 lbs, the weight necessary for spaying surgery.” Joyce said. Joyce then took Kanga home. They already have two dogs and a cat named Skittle. 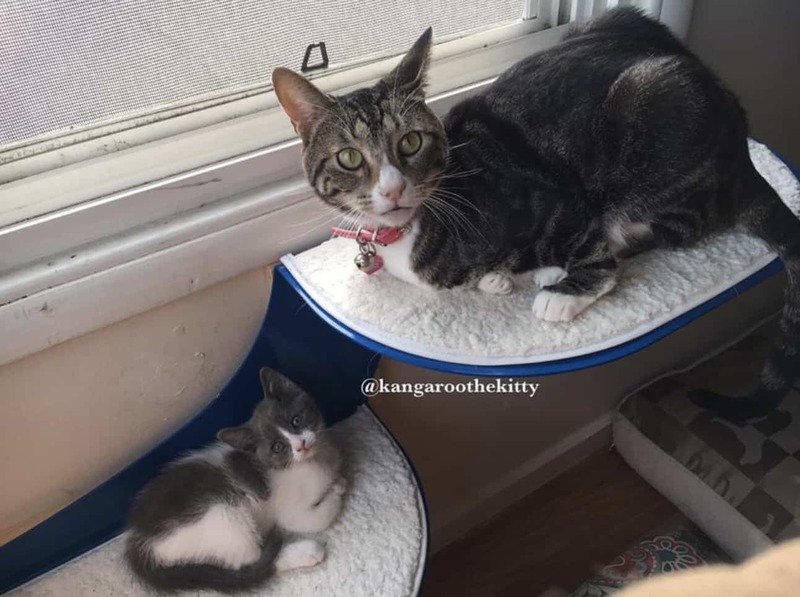 Ever since she moved to her new home, Kanga has been closed with her sister cat, Skittle. 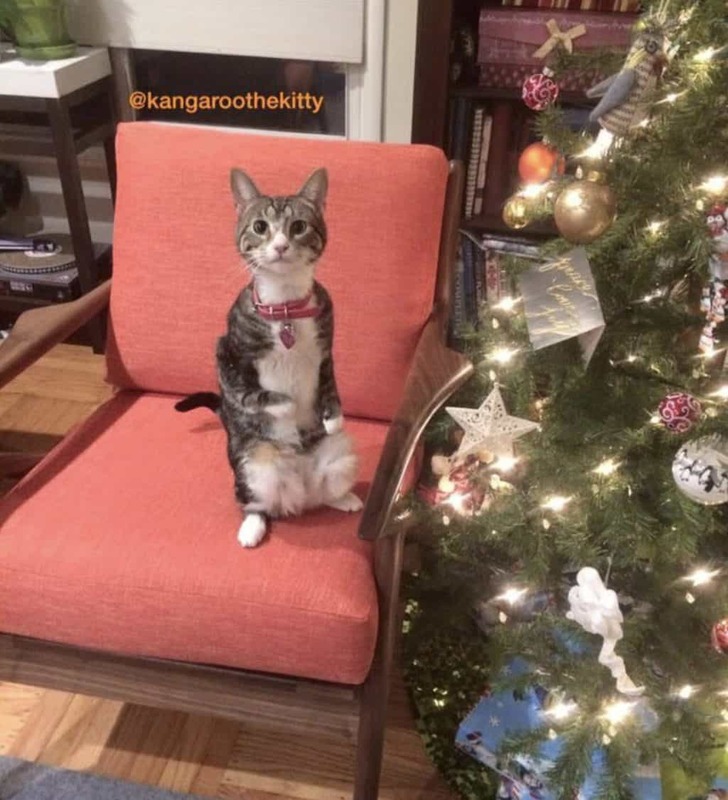 Kanga also helps Joyce when she adopted a kitten named Alealani who has the same kangaroo legs like Kanga. Alealani looks up to Kanga so much that she copies everything that Kanga does. 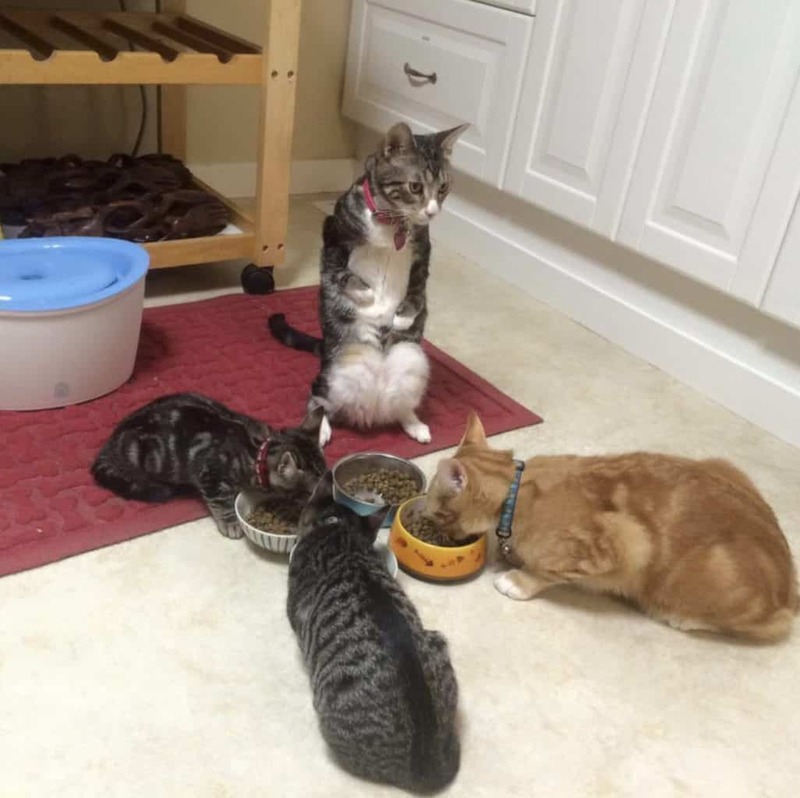 Kanga surely makes a great example to her. Seeing Kanga and Alealani trying their best to live their life despite their deformities, we should also try our best and not give up easily when life does not go our way.